What Does Interaction Design and Art Mean? According to Nathan Shedroff (pioneer of experience design, author, professor) interaction design is “the art of effectively creating interesting and compelling experiences for others.” Art is the creation of beautiful or thought provoking works e.g., in painting, music, writing, etc. When interaction design and art come together, a unique discipline results. This discipline encompasses aspects of everything from art, user experience, and interface design to physical computing and interactive exhibit design. 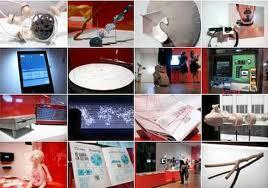 Examples of interactive art and design can be found in performance, alternative reality games (ARGs), telematic art, installation, and responsive objects. Artists interested in a degree in integration design and art may have a variety of degree programs to choose from. You may select from an Associate of Applied Arts (A.A.A.) or Associate of Applied Science (A.A.S.) program as well as a Bachelor of Art (B.A. ), Bachelor of Science (B.S. ), Master of Arts (M.A.) or Master of Fine Arts (M.F.A.). Undergraduate programs require successful completion of a combination of general education courses, major courses, and cores, while graduate programs typically consist of advanced coursework in interaction design and art along with a thesis project. A typical undergraduate program will require completion of a variety of general education courses such as Communication & Critical Thinking, Critical Studies: Analytical Writing and Literature, Mathematical Concepts, Concepts in Science and Popular Culture, Creative Writing, Intro to Psychology, and American History. Cores may include, but are not limited to Living in a Media World 1 and 2, Professional Life Skills, and Business of Media. The list of major courses in lengthy and may include: Visual Storytelling, Interaction Design Pipeline, Design Thinking, Information Architecture, Graphic Design Basics, User Research, Psychology of Design, Concept & Imaging, Animation & Motion Theory, Color & Type 1 and 2, Interactivity and Screen Design 1 and 2, Advanced Web Scripting, Motion Graphics 1 and 2, Prototype Tools, Business Strategy, Previsualization, 3D Modeling, Prototyping and Testing, Cross-platform Media, Design for Mobile Devices, Design for Social Change, User Centered Design, and Social Media. During the final year of a typical undergraduate program in interaction design and art, students will complete a creative project such as a digital portfolio, installation, demo-reel, or other work. In addition, students will have the opportunity to gain hands-on experience in the field through an internship. Internship programs are competitive so certain requirements must be for acceptance. Students must have a certain GPA (typically 3.00 or higher), excellent samples of design/artwork, several recommendations, and an essay (or two). What Can I do with a Degree in Interaction Design and Art? Artists with a degree in interaction design and art can work in a variety of fields from fine art to video game design. Just a few common job titles include fine artist, game designer, animator, graphic designer, filmmaker, web designer, multi-media artist, designer, and freelance artist. Because interaction and design artists have such a diverse skill-set, they may find work in industries outside of art and entertainment. They may find work in architecture, the medical industry, forensics, education, corporate training, engineering, and science. Interactive Arts & Media Degrees: What Coursework is Included in a Typical Interactive Arts & Media Program? Virtual Modeling and Design Degrees: What Coursework is Included in a Typical Virtual Modeling and Design Program?